Good morning everyone! I am so glad it's Wednesday! That means we are halfway through the week and today is my shorter day! Woohoo! I am getting my much needed manicure and then I am coming home to put my feet up! Boy am I tired!! At least the weather has been very nice! Nothing like out east! And because it's been so nice, I can feel myself catching that spring fever! Today's card was a fun one! 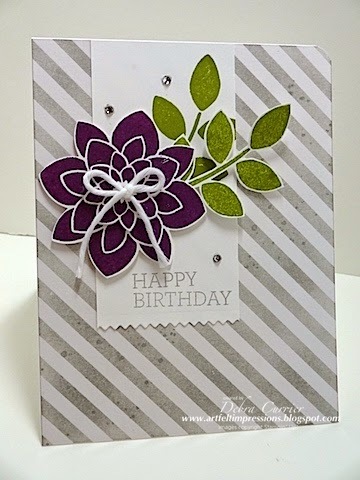 I am really loving the Crazy About You stamp set! I got the bundle so there are even more possibilities with this set! 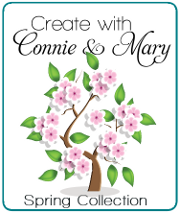 Have you seen all the great projects that have been shared this week at the Spring Collection from Create with Connie and Mary? Wow!! If you haven't you can still sign up and get all the great ideas and their tutorials! You are sure to be inspired by all the great designers! Find more information at Create with Connie and Mary!